Linda Webber – Essex Realty Management, Inc.
Linda Webber is Executive Vice President of Essex and responsible for the coordination of all property management services throughout the company. She also directly oversees our San Diego region and the Human Resource functions at Essex. She is an incredible resource for our clients and all of our employees because of her work ethic, her caring nature, and her extensive knowledge of the numerous detailed aspects of our business. Ms. Webber has over twenty-five years of experience in the real estate industry and has been involved in all aspects of the development and management process. 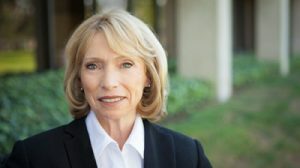 Prior to joining Essex in 1995, she directed the activities of her own management company as its President while coordinating the management and marketing of office, medical, retail, and industrial properties in Orange and San Diego counties. That firm was later merged into Essex. Prior to that, Ms. Webber was an analyst and asset manager for Johnston Properties, Inc. in Newport Beach where the company was actively involved in the development of office and retail properties in Orange and Riverside counties. Responsibilities included the supervision of architectural design, construction coordination, leasing, and tenant improvements on specific properties being developed by the firm. Ms. Webber is a graduate of the College of DuPage in Illinois, a licensed California Real Estate Broker in both California and Arizona and is an accredited California Association Manager (CACM).